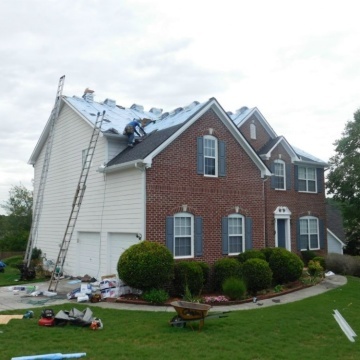 Accent Roofing Service, a “BBB A+ Rated Company” has provided over 25 years of quality residential roofing contractor services to our customers. As a full service company, we have the know-how to handle any kind of job. 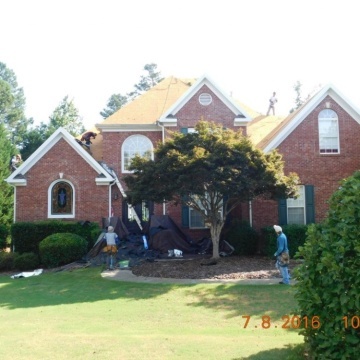 Accent Roofing did an overall fantastic job, with a great crew, in a short amount of time for a very fair price. I have already recommended Accent Roofing to one of my neighbors. They are extremely professional. They walked me through the entire insurance process, and answered questions every step of the way. They remained on schedule and completed the roof on time. Very communicative. I highly recommend them. They were very professional and did the job great. 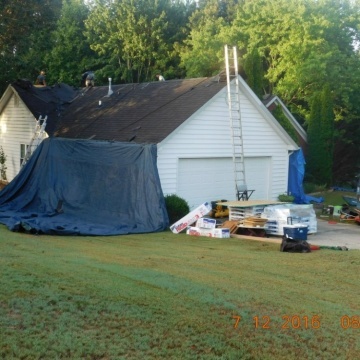 Accent Roofing / LeakSmith did a very good job; they were professional and completed the job in one day. The staff helped from beginning to end. Explained step by step on what I needed to do and how it should be handled when dealing with my insurance company. The group was great, very efficient and cleaned up afterward. Very personable, excellent work, quality material, and quality work. I even have another company who installed some rodent exclusion flashing say that Accent made sure everything was put back in place, because they normally have to come back to fix the work of other companies, but not with Accent. 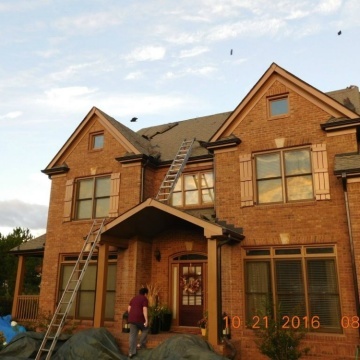 Accent Roofing / LeakSmith was very professional, on time, and did great work! I would highly recommend them! Very reasonable kno oeledgible throughly professional dependable and courteous from the secretary, sales rep, Forman and the crew. Everyone mimics the policy of the President of the company Mr. Scribbins. Truly they are The Good Samaritan Company. I am very likely to recommend Accent Roofing / LeakSmith to a friend. They were very responsive and do quality work. I would like to recognize the owner who was very kind to me. 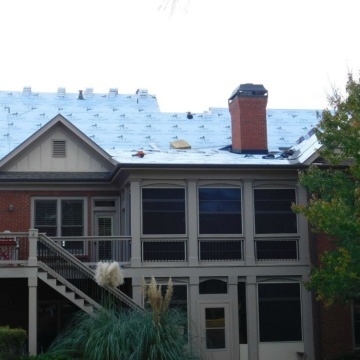 Accent Roofing is a great value. They did exactly what they said they would do. I have used them for 3 houses. They have done the same work for all of them. I had no questions. The lead guys for the project are really good. I mentioned to Phillip to get creative with a program to get more people in the neighborhoods to do work with your company. I try to let everyone know about Accent Roofing/LeakSmith. Out of all of the contractors, I chose Accent, and I am extremely satisfied. 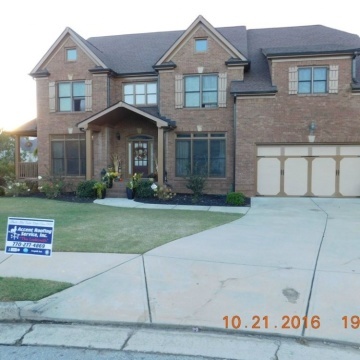 I honestly can't say enough good things about Accent Roofing. This is NOT your typical "drop by and ring your doorbell after a storm" company. 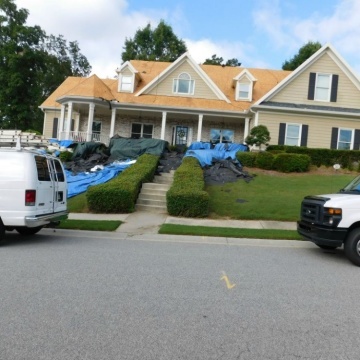 They will show up on time and at your convenience to work with you and your insurance (if applicable) to understand every detail of the work being done. Accent Roofing is a truly outstanding company with integrity and great people working for them. 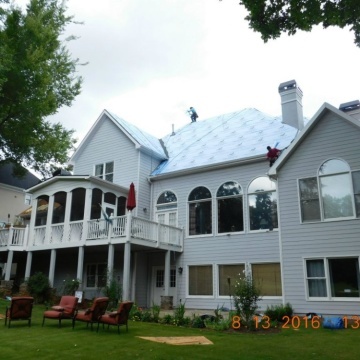 Definitely would recommend Accent Roofing! Very knowledgeable, professional, and organized. I would recommend to anyone looking to use a company for roofing, this is the company. I highly recommend Accent Roofing. They did a great job, very professional. Phillip and the crew at Accent Roofing did a great job! They made the process extremely easy. The workmanship was excellent. Also, Austin who came by to do the follow up visit was very professional. He did a great job. Phillip & the team told me exactly what they were doing, what they were going to do, and they told me what timeframe they were going to be doing it in. All of it came out very professional and easy. All we want as customers is to make sure that everything goes out very nicely and proficiently and they did a great job in doing that. 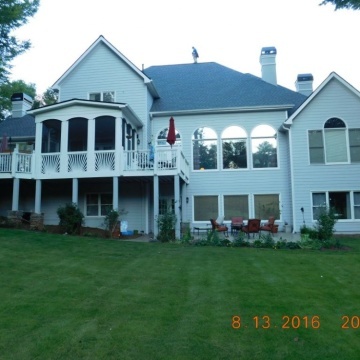 Accent Roofing was excellent. Accent Roofing did an excellent job on my roof. They were very timely, professional, and talked me through the entire process. The whole process was very easy and Mike was always available to answer any questions I had. Austin did a wonderful job making sure that my property was clean after the work was completed. 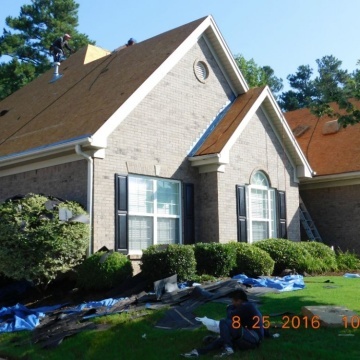 I would highly recommend Accent Roofing for your roofing services. I would highly recommend this company. All business dealings were handled professionally, truthfully, and upfront.